The world of Flickr comes with many amazing projects, photos, and finds. My most favorite pictures to look at (besides sewing projects) is the world of Vintage Pyrex. I have had a longing to start collecting since last year soon after joining the flickr community. 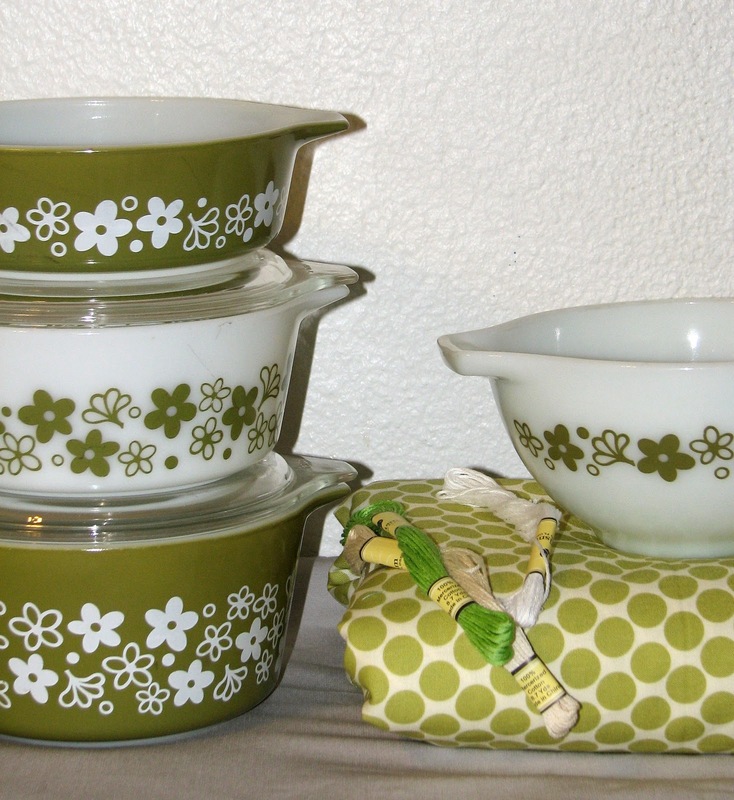 Now I do not claim to even know a lot about vintage Pyrex, I only know that it's just so beautiful to me I have to have every piece I can find. Many people have decided to charge far more then Pyrex is worth due to the fad of people collecting I am sure. Just like certain fabrics, if a trend calls for it then people believe they can charge more for it. I am having fun with the thrill of looking and staying away from the high prices online. I did find a very cool flickr group that trades pyrex if anyone is interested. Does anyone else collect Pyrex? Or maybe something similar? I am just curious to know everything about it. Is there something I should know when treasure hunting? The thrill is amazingly great. I always have a great day after finding a piece of this lovely part of my childhood. Of course I hated the look of it as a kid. Funny how that works out. Does anyone know the names of any of these? Great finds! 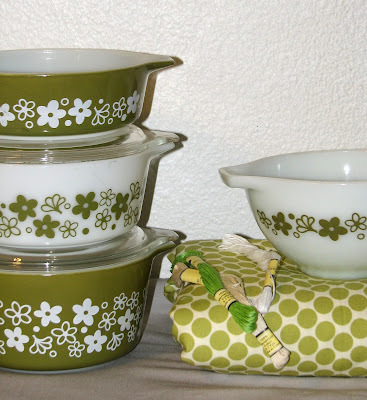 Have you come across the blog Pyrex Love? 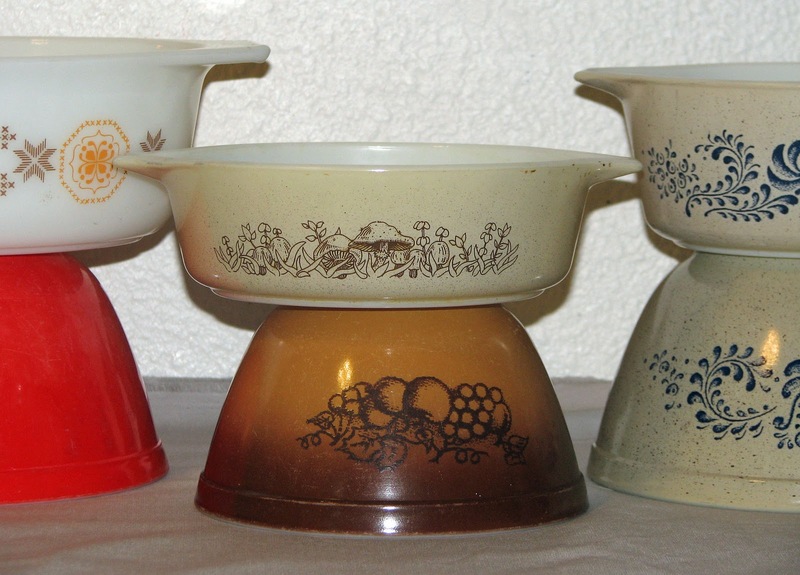 It might interest you, if you're into collecting Pyrex. 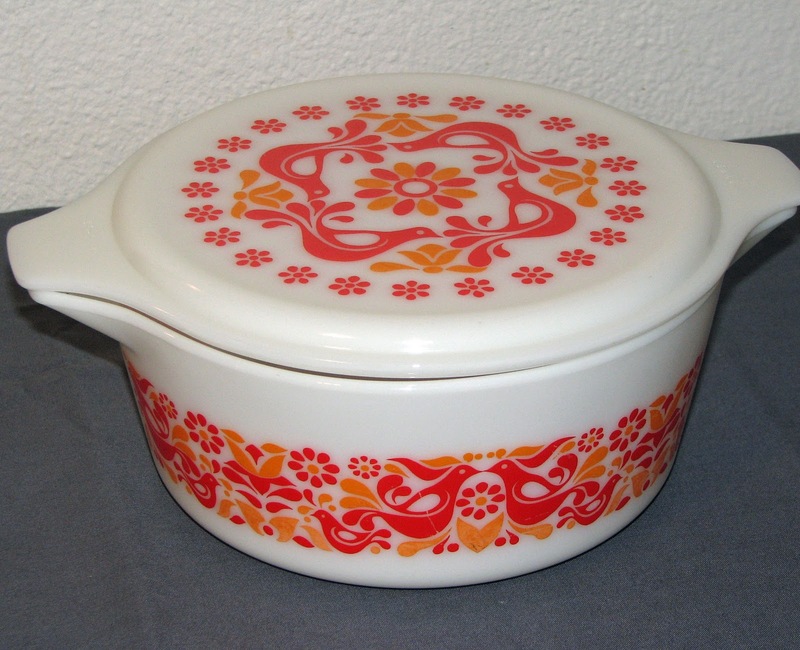 I love your pyrex...I went garage selling when I was in Texas this summer and came across some pyrex and wanted it sooo bad...but since living in AS..just couldn't do it. I remember my mom having so many of those when I was growing up. I had no clue they would be wanted like they are today. I do love the orange one! Thats awesome! I am obsessed with finding it at a good price also! I visit the antique shops around my house and keep an eye on the new stuff coming in. My favorite pattern right now is the friendship also! I have one of those and am starting to collect a various designs! It is so much fun, and I vow never to pay more than $15 for a bowl when I do find them! I agree, some of them are way overpriced! Good luck in your continued search! Oh thank you , I thought the green was called spring blossoms. omg the green one is the same as my grandma's. I dont event know that's pyrex! Now that I know what pattern it is, I'll have to add that in the description! 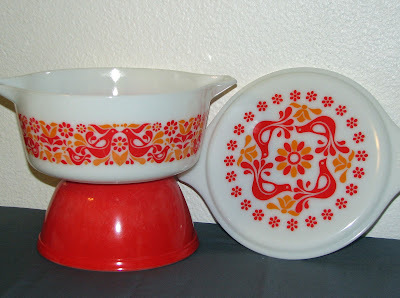 Isn't vintage pyrex wonderful!